Are you tired of the same boring events where you are just counting down until it’s time to head home? It’s time for something better…Landmark Resort, featuring over 20,000 square feet of meeting space! With space to accommodate groups of all sizes, from small board meetings to receptions in our Grand Ballroom that can host up to 500 people, along with our first-class rooms, exciting water amenities and a variety of great dining, Landmark Resort has the recipe for an event experience to remember. Click to view our versatile and mouth watering catering selections and click here to view our Wedding Trifold. Landmark Resort is also working to better the environment through its Green Initiatives. Isn’t it time for something better? Don’t wait, call our group sales representative NOW to begin planning for the most successful and fun meetings ever at 1-800-229-7295. No matter the size of your group, we have the perfect facility for your next meeting or conference. 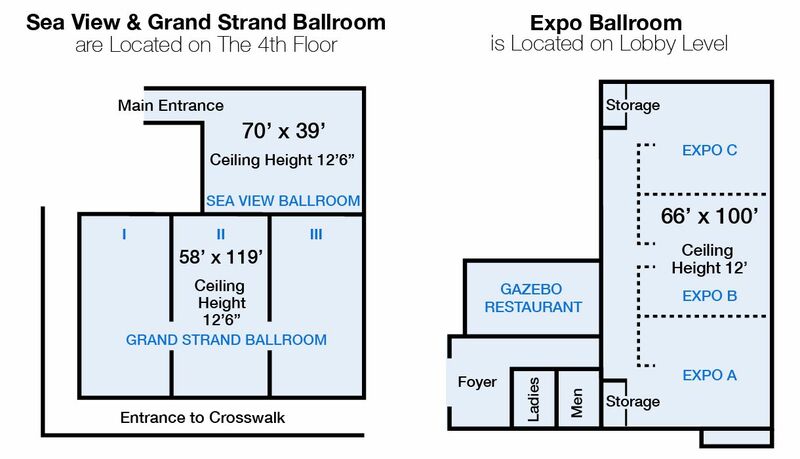 Our Grand Strand Ballroom is 6,900 square feet and can easily fit 900 people in a theatre seating arrangement or 400-500 in a classroom or dining setting. Our Coquina Room is a great medium-sized facility with space for up to 200 people, and we also offer Board Rooms for more intimate gatherings of up to 30 people. Let us custom design the best space for your next meeting! Our full-service meeting and event planners will attend to every detail of your next gathering, from special meeting room requirements to planning group activities, ranging from casual poolside parties to formal black-tie dinners. Landmark Resort also hosts school athletic groups and their families and is conveniently located only about three miles from the Myrtle Beach Sports Center. 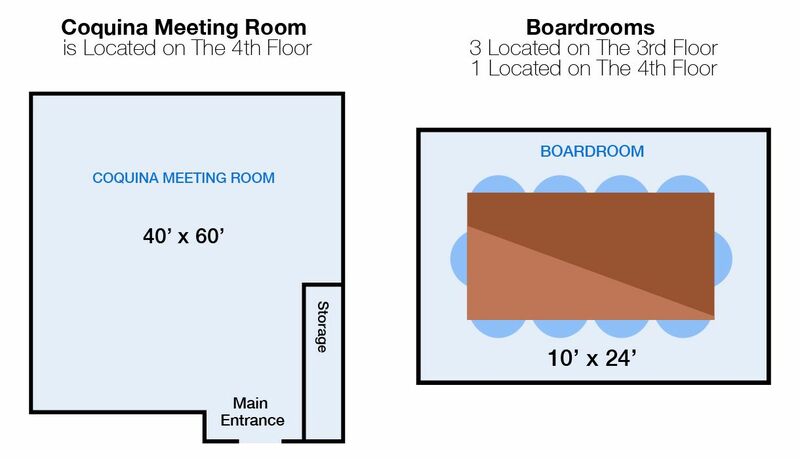 CLICK HERE to see details on our available meeting spaces. Welcome to stress-free presentations! Let our Audio-Visual experts custom-fit the best package and accessories for your needs. From flipcharts to LCD Projectors to deluxe sound systems, we have you covered! You can trust that our professional staff and beautiful facilities will make Landmark Resort the perfect location for your wedding reception. Our Grand Strand Ballroom or Sea View Ballroom provide a wonderful setting for your event, and all of our packages include complimentary cake cutting, a dance floor, one hour of open bar and hors d’oeuvres, a special champagne toast, a chocolate fountain, and so much more! Let our professional event planners help you arrange flowers, entertainment, and photography for a relaxing and unforgettable party. CLICK HERE to see our wedding brochure! Whether you are looking for a plated dinner or an intimate gathering where your guests can mingle with hors d’oeuvres, we have a package to suit your needs. Our catering staff can tailor any menu to suit your occasion. Our food choices are extensive, and our entrees, appetizers, and desserts taste as good as they look! Don’t see what you need on our menu? Our amazing chefs love special requests, and they will work with you to create the perfect accompaniment to your gathering. CLICK HERE to view our versatile and mouthwatering catering selections. Why travel across town after your wedding or meeting when you can enjoy the location and gorgeous amenities of Landmark Resort? Let us accommodate your guests, coworkers, and wedding party! Guests can choose from our oceanfront and ocean view rooms and efficiencies, and we also feature suites and 3 Bedroom Penthouses, which can sleep up to 10 people. Stay in touch during your special event with free resort Wi-Fi, and relax in our giant indoor and oceanfront poolscapes. Landmark is the perfect place to host your special event! Landmark Resort has an array of meeting space options. From our large Ballroom to our intimate Board Rooms, we have options for groups of all sizes.